BACKGROUND: I come from the sport side of the motorcycling family (supersport/dualsport) and my usual ride lately has been a '95 R1100GS and occasionally my honey's '89 Hawk GT. 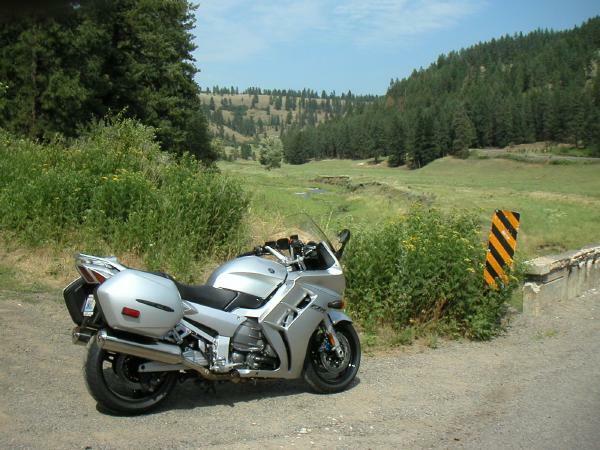 I sold my '00 Yamaha R1 to finance the FJR1300. My current stable also includes 3 dirtbikes. Size-wise, I'm HWP at 5'7.5" and 162# dressed. 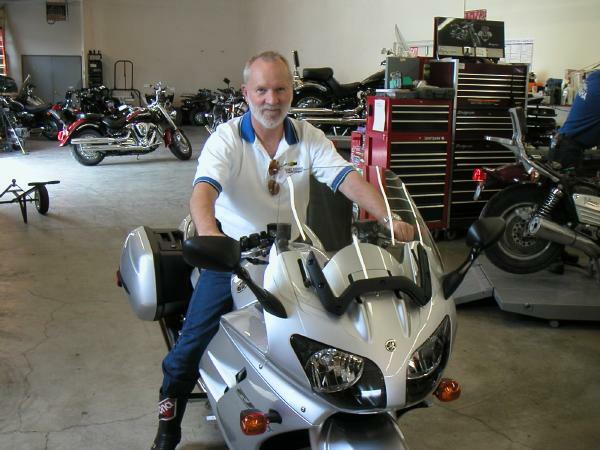 I've owned over 60 motorcycles, and been riding since 1961. I desert raced in California in the 70's, did NATC trials in the late 80's, was a MSF instructor from '85 to '96, and still do the occasional track day. I picked my FJR (#000219) at Noon on Friday, July 19th, 2002. 2.5 miles on the odometer. I'd asked the dealership owner to insure the mechanic who set it up do the following the first time he fired it up: don't let it idle during the 1st minute's warmup, but get the revs up to 2k and vary them gently around that RPM until he took it out for the initial required test drive. 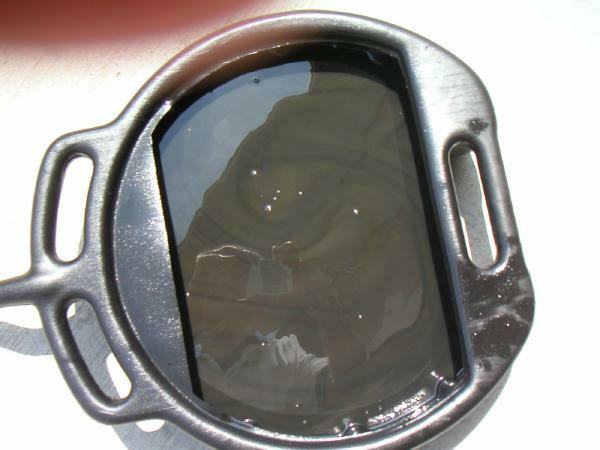 Changing the oil is easier on the FJR than any of the other motorcycles I've owned -- the sight-window, the drain, the oil filter, and the filler cap are all clustered together on the left side of the engine in plain sight. Nothing to remove, no need to reach under the engine for anything. Very well thought out, Yamaha! After the oil change I let the bike cool down for an hour, then went out for another hour's ride on a favorite twisty road in the countryside. Then, at 90 miles, I had to park it in the garage for the weekend (a previous committment required I be out of town and bike-less).